Many people want to know what Garcinia Cambogia fruit extract is, as well as where to get their hands on it. We’ve got great news for you: in this post, you’ll find out everything you need to know. That’s right, read on to find out just what the Garcinia fruit really is, what it can do for you, whether or not it works, and where to find it. By the end of this post, you’ll have learned all the important facts about the Garcinia Cambogia fruit and its amazing extract! Garcinia Cambogia is a supplement that has become popular in the last few years, thanks to the fact that it promises good weight loss results. With the country becoming more and more health conscious, it comes as no surprise that people are looking for a means to lose weight and get in shape. The effects of the Garcinia Cambogia supplement make it an option that many find attractive, as it promises to make weight loss easier. The most popular form of the supplement is diet pills. The nutrients extracted from the Garcinia fruit are turned into a supplement that you can take once a day, making it easier for you to get the vital nutrients for weight loss. But where does the supplement come from? Is Garcinia Cambogia a fruit? Absolutely! What is Garcinia Cambogia fruit? The fancy-sounding name is just the Latin name for the fruit, which is known as a gamboge or Malabar tamarind. It looks kind of like a baby pumpkin, and the fruit has a color somewhere between yellow and pale green. The flavor of the fruit is slightly sweet and sour, sort of like a cross between an orange and a pumpkin. The fruit is native to Southeast Asia, India, Indonesia, and regions of Central and Western Africa. It is actually used in a lot of dishes in these countries, such as in chutneys and sauces. It is also dropped into stews and soups (like we use potatoes), as they thicken the soups. The fruit is very rich in fiber, so using it for cooking tends to enhance the consistency of food as well as the flavor! Indians use the rind of the fruit–which they call gummi-gutta–as a flavoring in their curries, along with gummi-gutta extract. It adds a sour flavor, which Indians believe activate your body’s natural digestive processes. In Southern Thailand, it is added into a type of sour Thai curry called kaeng som. It is also used to cure fish in Southern India and Sri Lanka. Interestingly enough, the benefits of this fruit for weight loss aren’t in the fiber, but in a special nutrient called hydoxycitric acid–or HCA. HCA is somewhat similar to the citric acid found in lemons and other citrus fruits, but it offers a range of benefits that you can’t find in citrus fruits. 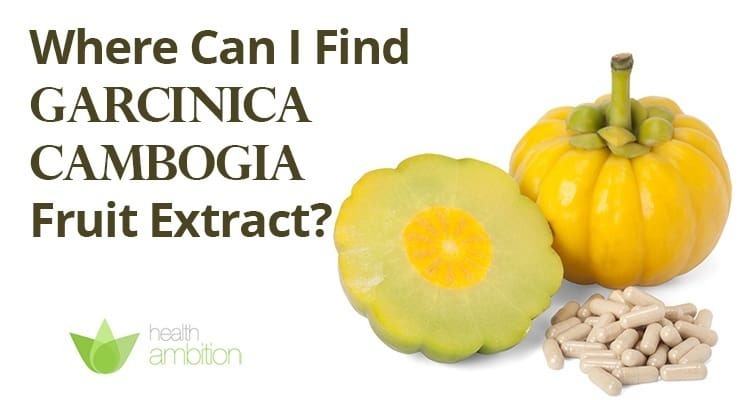 All of the Garcinia Cambogia supplements are made with the HCA extracted from Garcinia fruit, and you’ll find that you’ll find that it’s this Garcinia fruit extract that has become such a popular supplement! Does Garcinia Cambogia Fruit Extract Work? What works for amazing weight loss for one person may be totally ineffective for others, or may even cause negative reactions in the bodies of some. There is no way to guarantee that any natural supplement works, for everybody reacts to the supplements differently. Most doctors recommend that you avoid taking supplements for more than 12 weeks, as the long-term effects of these supplements often have not been properly studied. That means that you only get about 3 months of use from the Garcinia supplement before you should stop taking it. If you’re not following a healthy diet and workout program, you may not see the results you want during the 12 weeks of use. For a supplement to be completely trusted in the medical community, it must undergo A LOT of rigorous testing and must be studied thoroughly. Not enough studies have been done for your doctor or health expert to say “Yes, it works” beyond a shadow of a doubt. Until more studies are done, the best your doctor or nutritionist can say is that it “may” or “has the potential to” work. If you are JUST taking the Garcinia supplement, you’re definitely not going to see the results you want. Many people who take the supplement get discouraged because they don’t lose the weight they want to lose, and end up posting negative reviews on the various Garcinia products. However, for those who are eating right, living a healthy lifestyle, and doing plenty of exercise, adding the Garcinia fruit supplement into the mix will help to yield the results they want. Disclaimer aside, the truth is that the Garcinia supplements HAVE been researched in order to discover whether or not they work. It turns out that the Hydroxycitric acid in the supplement offers a lot of health benefits you might not have known about. The nutrients in the Garcinia supplements have been found to have an almost immediate, drastic effect on your body. They can boost the levels of serotonin–the feel-good chemical produced by your brain–thereby improving your mood. Interestingly enough, serotonin also controls your appetite. Have you ever noticed how you tend to overeat when you feel sad or depressed? This is because a lack of serotonin tends to increase your hunger, but thankfully the Garcinia supplement can combat both moodiness and appetite by stopping your brain from reuptaking the chemical. It makes serotonin more available to your body, thus helping to deal with both hunger pangs and emotional cravings. Hydroxycitric acid is the stuff that makes Garcinia Cambogia such an awesome supplement, as the acid can stop your body from turning the fat you eat into fatty acids to store. If your body cannot store those fatty acids, it has to burn them. It forces your body to burn more calories, and prevents weight gain. What happens is that HCA inhibits citrate lyase, the enzyme that is needed to turn carbohydrates into fatty acids to store. Your body can only use so many calories of carbs IMMEDIATELY, so the rest are stored in fat form. With HCA, your body cannot turn carbs into fat, so there is less fat floating around in your body. If you take HCA while on a healthy weight loss diet, it can also help to activate the fat burning pathways in your body. This means that HCA can make it easier for your body to burn fat, enhancing the effects of your diet and exercise program. When your body cannot store fat, it has no choice but to burn it off as energy or get rid of it via your waste disposal exit. Your body will usually burn more fat, meaning you have more energy available thanks to the HCA supplement. Dieting can be quite tiring, and doing a daily vigorous workout is also exhausting. Thankfully, the HCA will give you more energy, so you’ll feel better when it comes time to hit the gym and do your workout. As a bonus, the serotonin-boosting properties of the supplement will help you to feel happier, so you’ll be more physically AND mentally energized for your workout. This is a secondary benefit of taking the HCA supplement, but the fact is that it’s a legitimate benefit. When the HCA stops your body from producing fat from the carbs you are consuming, you prevent the formation of cholesterol and triglycerides. By reducing cholesterol and triglyceride production, you reduce your risk of heart disease drastically. Considering the fact that heart disease is the leading cause of death in the world, it stands to reason that anything that can decrease your risk of heart problems is worth a good deal! As with all natural supplements, there are a few drawbacks to taking the Garcinia fruit extract. If you take TOO MUCH of the HCA, there is a risk that you can cause toxicity in your body. Of course, to get “too much” HCA, you’d need to consume the pills by the handful. As long as you stick with the recommended dosage that comes with the product. Another potential risk: allergic reactions. There is a risk–however small–that you will suffer a negative allergic reaction to the fruit. It is in the Garcinia family, the family to which the fruit mangosteen belongs. If you have an allergy to mangosteen, you may suffer from a Garcinia allergy as well. The HCA in the supplement can also cause a negative reaction similar to the way people react to citric acid. Pregnant and nursing mothers should avoid the Garcinia supplement, not because it is dangerous, but because there have been no studies done on how the supplement will affect their babies. It’s better to stay away from ALL supplements save those recommended by your doctor. Want to know where to get the best Garcinia supplement? The truth is that it’s a tricky question! There are dozens of Garcinia supplements sold on the market, and it can be hard to say “X product is the best!” It’s going to take time and research to find where to get your hands on the supplement that will be most effective. It’s almost impossible to find raw Garcinia fruit in the United States, though there may be an exotic fruit store that sells it. If you want to find it, you may be lucky if you search Southeast Asian or Indian food stores. Some add too much filler — Too much filler means not enough HCA, so less bang for your buck! Some add chemicals and additives — You’re looking for an all-natural product, not one loaded with artificial ingredients. Some contain caffeine or taurine — Both of these nutrients stimulate your central nervous system at the same time as promoting weight loss, making the supplement potentially dangerous. 50% HCA or higher — More HCA means more of the important nutrient that promotes weight loss. Made in the U.S.A. — Products made in the US are held to higher standards, so they are more likely to be safe. All natural — No artificial or chemicals in the list of ingredients. What Is the Best Thermogenic Fat Burner for Men in 2019? What Are the Best Thermogenic Fat Burners for Weight Loss in 2019? What Are the Best Pre-Workout Supplements for Women in 2019?